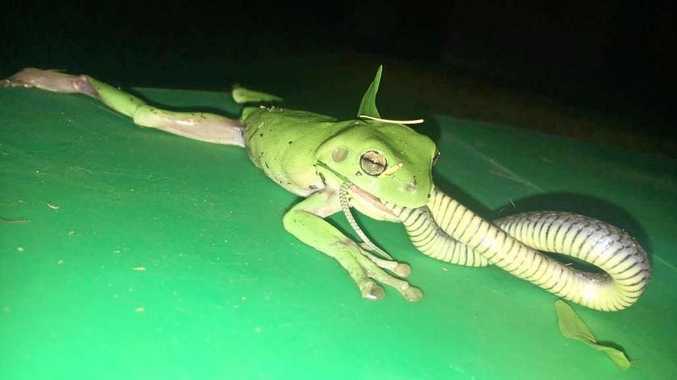 IN what can only be described as a princely act, a lone green tree frog has proved its worth in the animal kingdom by biting off what looked like more than it could chew. Kay Ward was at her home in Burnett Heads at about 8.30pm last night when her she noticed the dog getting excited. "The dog was sniffing in the grass and sort of jumping around all excited, so I thought maybe he had a frog and went out to have a look. 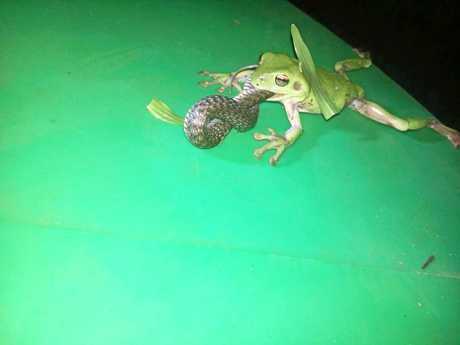 I saw the frog, saw the snake with the frog and I thought the snake was eating the frog," she said. 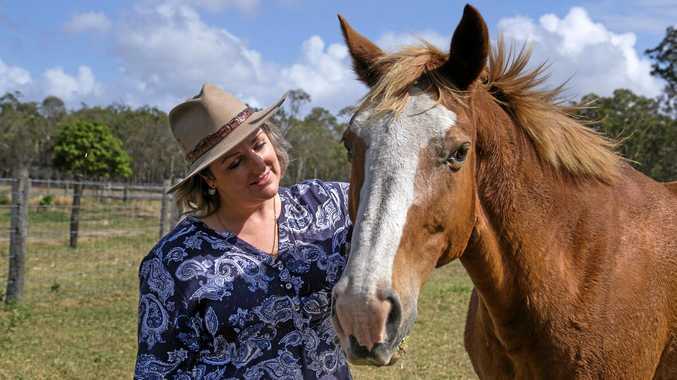 "I threw the dog inside and called my dad's friend Reno, he's out in Burnett Heads too and he has heaps of pet snakes. I called him freaking out .. he said it was probably just a tree snake and they're harmless. 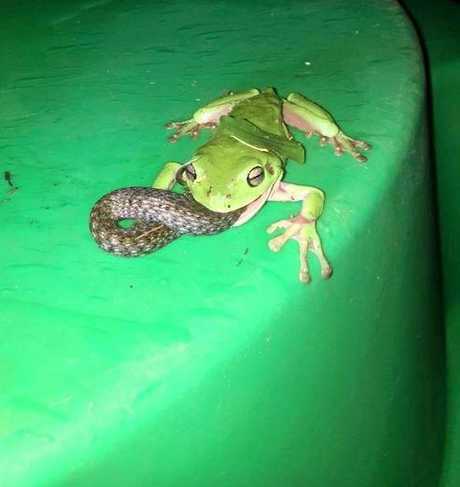 "So I went out with a torch and had a bit of a closer look and found the frog was actually eating the snake." Kay said the reptile was about 30cm long and they suspect it may have been a keelback - a non-venemous snake that is known to eat frogs. While this is the first time Kay has spotted a snake in her yard, the frog's bravado says something about this place we call home. "Only in Australia," she joked.